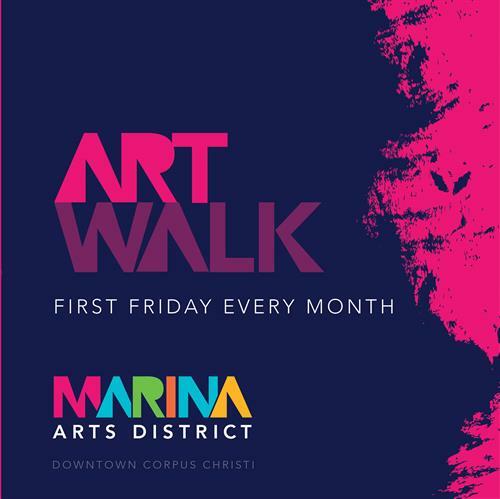 On the first Friday of every month you’ll find artists, musicians and all things creative converge in the Marina Arts District. It's where Downtown comes alive with bands on every block, food trucks serving up South Texas fare, and art galleries featuring local and national artists. Take in the free live music and local flavors outside, find a nice watering hole to duck into for a quick drink, or grab a bite to eat. Enjoy the talents of your neighbors or showcase your own as you revel in the sights and sounds of Corpus Christi’s creative community. This month's Art Walk will take place in Artesian Park.